Models are multi-talented. 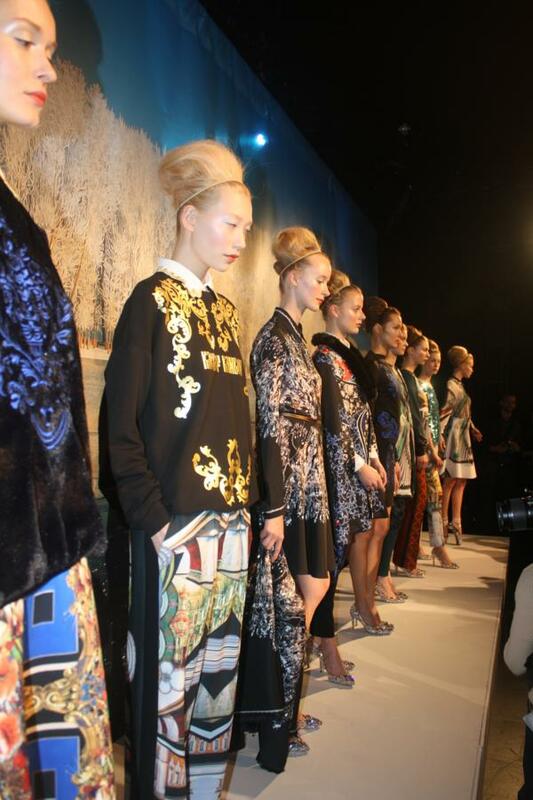 A few of them showed off their ballerina skills at the Clover Canyon Fall 2013 Presentation during New York Fashion Week. The theme of the collection was Russian Ballet. Some of the models sported jewel-encrusted ballet slippers and they weren’t afraid to get up on their toes and show us a few moves. 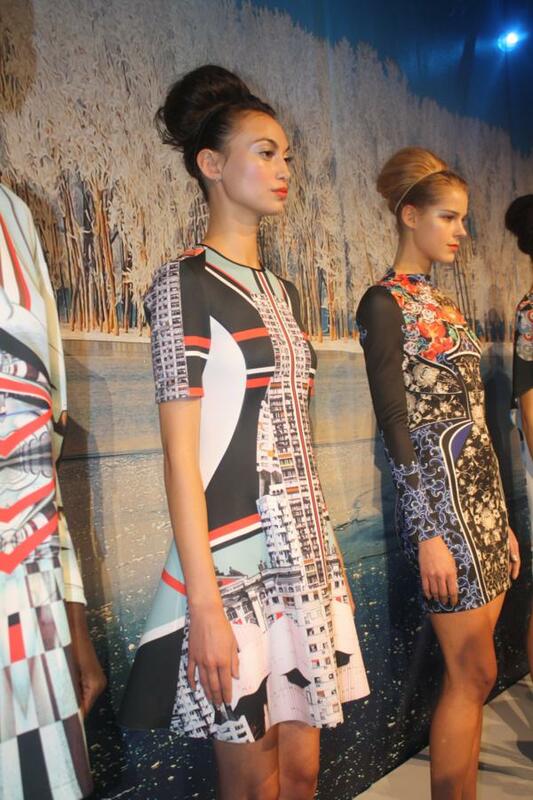 The collection consisted of simple, easy-to-wear silhouettes done in vibrant, Russian graphics. Inspired by the Russian Ballet, the models that weren’t wearing jewel-encrusted kitten heels struck ballet poses, to the delight of the photographers. They were dead on, which led me to wonder whether there was a call for models with a ballet background. Anyway, I digress. 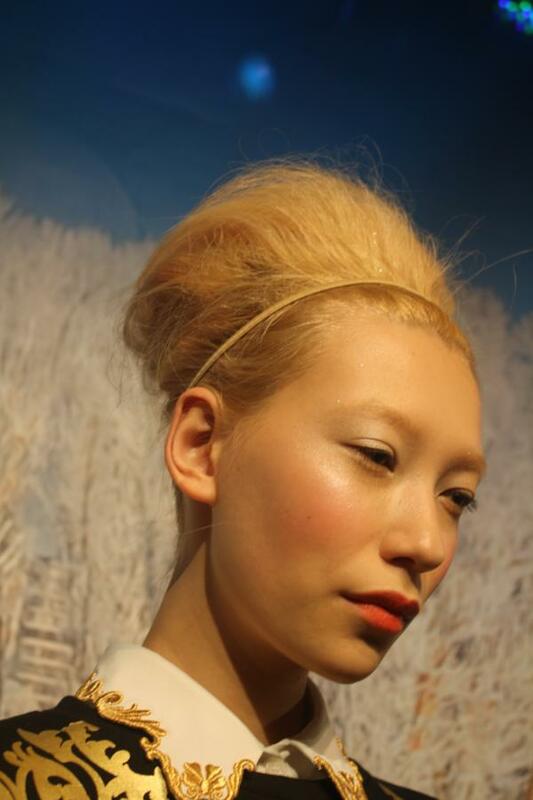 The chosen hairstyle was a neat beehive pulled back with a thin hairband. Nails were done in a glittery polish to add a touch of girly to an otherwise mature collection. One of my favorite things about the collection was the silhouette of some of the dresses. A fitted bodice with an A-line skirt flatters just about everyone. It can add curves to the boy-shaped among us and mask unwanted pounds around the hip and waist area because of the generous skirt. The length was also super wearable, at just above the knee. 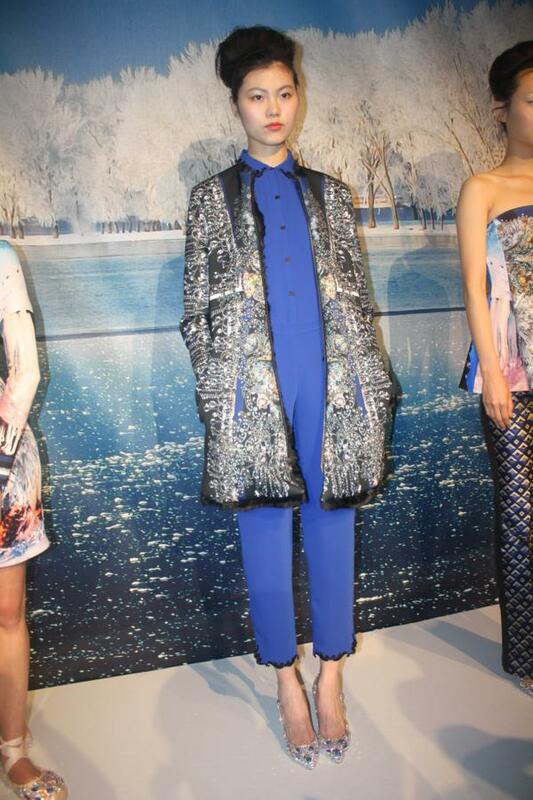 The Clover Canyon Fall 2013 collection comprised of very wearable pieces. They can be dressed up with high-heeled pumpor dressed down with plain black boots for a day out.